Carriacou, a small island just north of Grenada, is a virtual paradise for diving! It is unspoiled by tourism Also, it is noted for its beautiful, unspoiled beaches and unheralded snorkeling and diving. This is what Toucan Dive is always looking for! 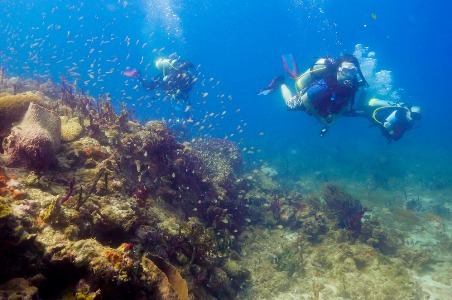 Great diving, reasonable accommodations, and a wonderful, laid back atmosphere for divers! Needless to say, many have never heard of the island Carriacou. In fact, I haven’t thought of going there since I first thought about it 25 years ago. Somehow, the little island just got put back in my mental rolodex. Unfortunately it never was put back in the recall queue. Thankfully, Carriacou was brought up in conversation in the fall of 2017. It has stayed in my thought processes ever since. Everyone knows that Toucan Dive travels all over the world to the most amazing dive destinations. Many are so fantastic we go back over and over again. Tropical destinations like Cozumel, Bahamas, Bonaire, Roatan, Belize and the Cayman Islands are always on the slate for dive travel. However, every now and then, , a new adventure trip is in order. For example, three years ago Toucan Dive went to the Corn Islands, Nicaragua. No one I know had ever gone there! Even our travel partners who put many trips together for us, had never heard of it! I threw it out there, and found a number of adventurers wanting to give it a try. It turned out to be fantastic! So once again, now it’s time for another big, adventure to uncharted waters! Carriacou holds promise, and like Nicaragua, has no guarantees. However, Carriacou has the potential to be awesome for those daring enough to go! Carriacou means “land of reefs” in its indigenous language, and rightfully so. The island is surrounded by beautiful underwater gardens of pastel colored coral and tropical fish! The Guyana current carries nutrients to Carriacou’s volcanic coastlines. This fertile current allows the underwater fauna and flora to thrive. A haven is created for large schools of grunts and snapper. Turtles, stingrays and eagle rays abound! A half a dozen wrecks including a World War I tugboat lie just off the coast. The 100 ft visibility in gin clear waters will help to make our time in Carriacou extremely rewarding! 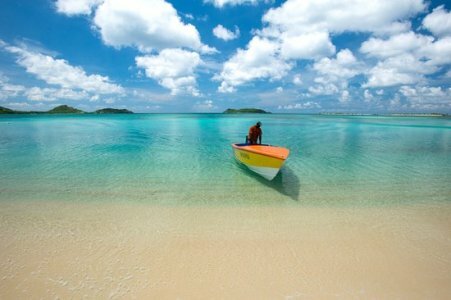 Great photo opportunities await the unsuspecting divers traveling to Carriacou! Our dates for our Carriacou Adventure Excursion is November 3rd – 10th, 2018. Round trip airfare from Chicago O’Hare! Charter flights from Grenada to Carriacou! 8 days 7 night accommodations! 5 days of 2 tank dives (More can be scheduled)! Your price for this amazing dive adventure is $2495.00! We have many that have already signed up. There are still 6 spots available! Time is running out! A deposit of $600.00 is required to lock in your space. Call Toucan Dive at (847) 356-7826!